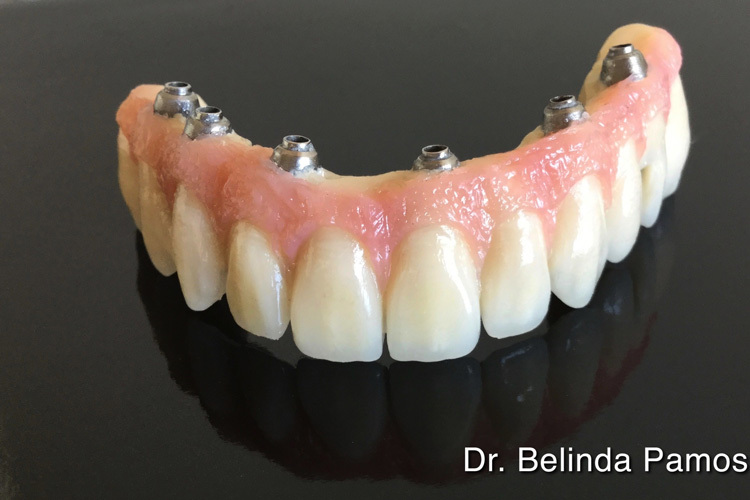 The number of implants necessary for a full-arch fixed bridge varies depending on your particular anatomy, the opposing teeth, the type of bridge you want to have placed and the number of teeth you want or need to replace with the prosthesis. A full arch of implants can be placed when you are already missing all teeth in one of your jaws. If you have teeth remaining, they may need to be removed as a first step before implant surgery can proceed, or sometimes the teeth may be extracted and implants placed immediately after the teeth have been removed. 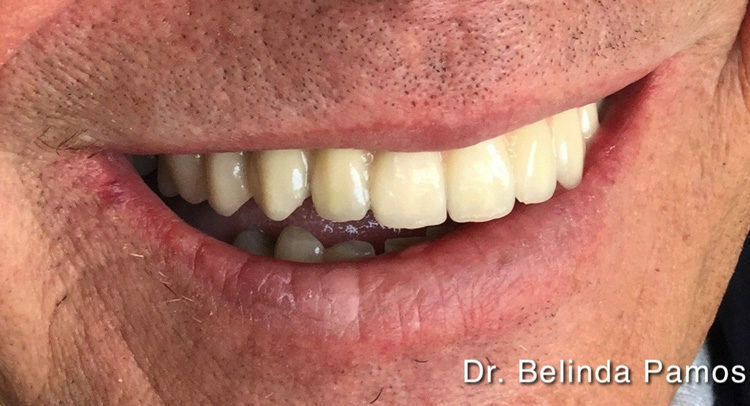 If there are teeth remaining, you may be able to have a temporary fixed-bridge made by your dentist to help transition from your own teeth to implants. 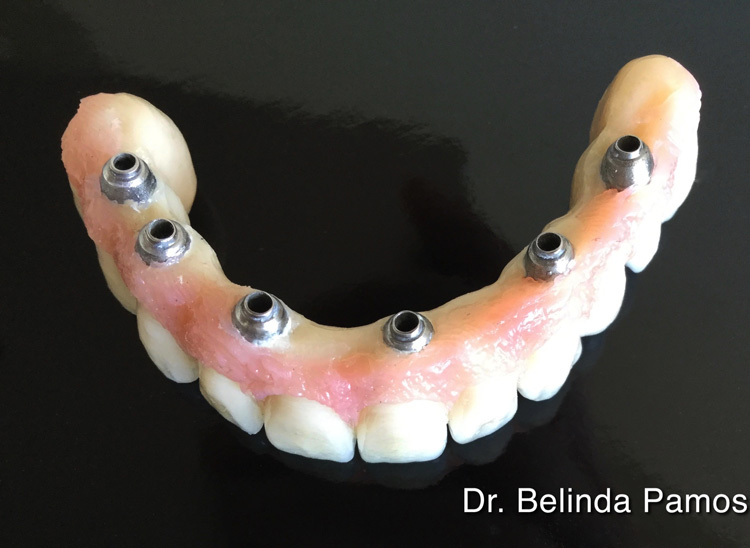 In this scenario (while the implants are healing), the temporary bridge stays in place which allows chewing, speaking and smiling - all without having to wear a removable denture. 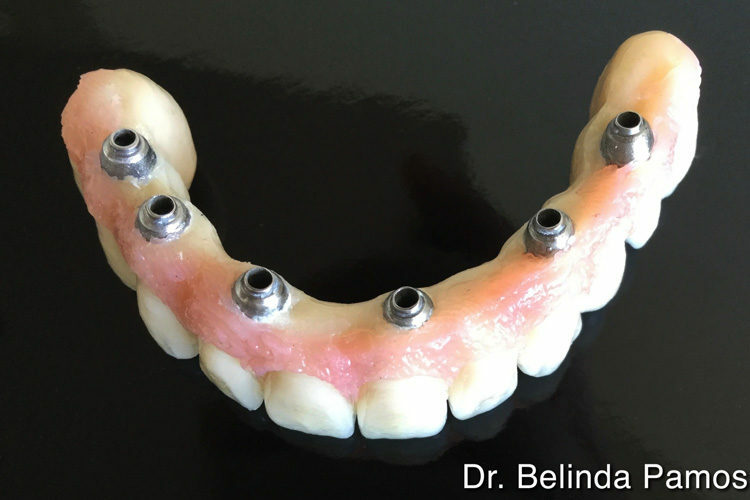 If it is not possible to retain enough teeth to support a fixed bridge while the implants are healing, then you may need to wear a removable denture temporarily.